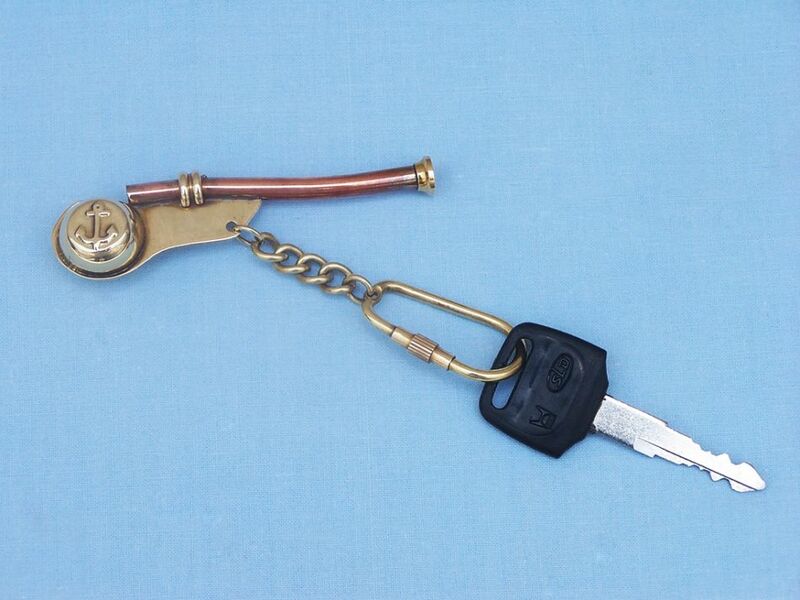 This nautical-themed key chain, featuring a brass and copper bosun's whistle (or "bosun's pipe") key fob, is both adorable and functional. Crafted from solid brass and copper, this key chain is as beautiful as it is durable and functional with a knurled knob that allows you to easily and securely add or remove keys from the ring. These wonderful key chains make ideal gifts for all. Since the time of the Crusades, aboard English ships of the 13th century, the boatswain or bosun whistle such as the one on this brass keyring has been used aboard sailing vessels. 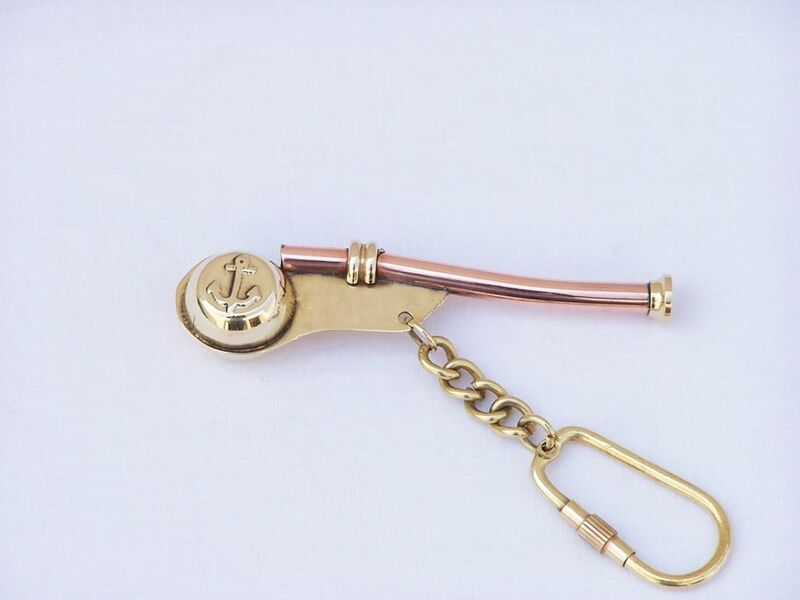 Crafted from a tube mouthpiece called the gun, the bouy with its spherical shape and hole used to alter the sound, and the stabilizing piece of the keel, this brass key chain follows a centuries-old design. Utilizing a combination of low and high notes with plain, warbled, and trilled patterns, this brass keyring whistle was used to convey orders above the roaring of the ocean. 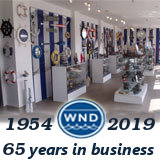 In the earliest days of sailing Greeks and Romans played notes from a flute to issue orders in a similar fashion, leading to what we now call the Boatswain. As the officer in command of rigging of sails and sailing equipment, it was of utmost importance that his orders be precise and understood. With a bright, crisp tone like the ones produced by these brass keyrings, orders to hoist the sails, and haul in and let out rope were easily conveyed across any ship. 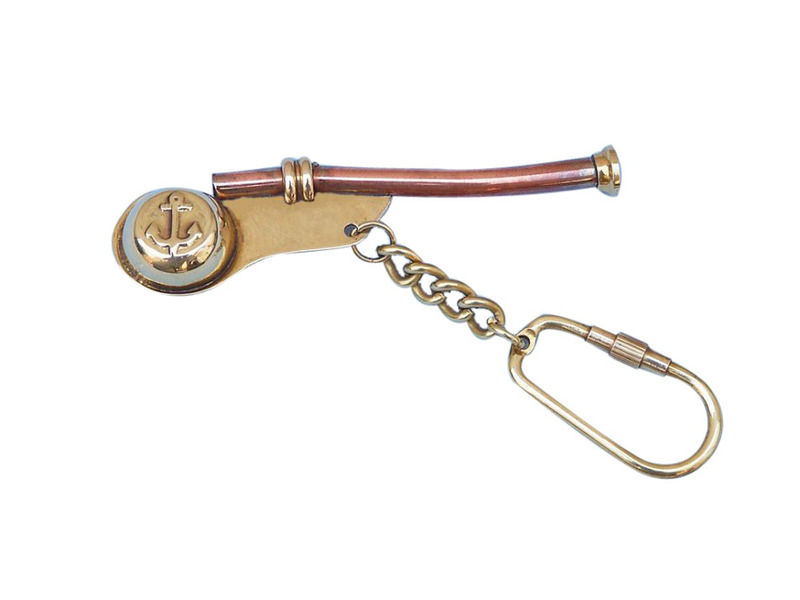 This brass keyring whistle is both an important part of history and a useful tool aboard your own ship, keeping your keys in order as you sail the sea issuing commands to your crew.